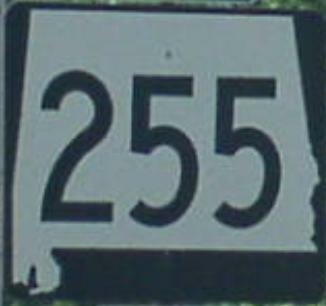 Alabama State Route 255 is a short expressway on the westside of Huntsville. 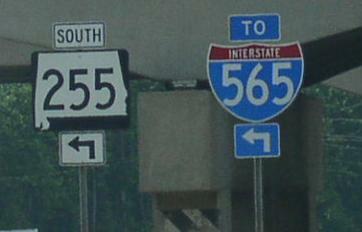 This highway runs from Interstate 565 to Alabama State highway 53 on the northwest side of town. AL St Rt 255 passes through the following town in Madison County. 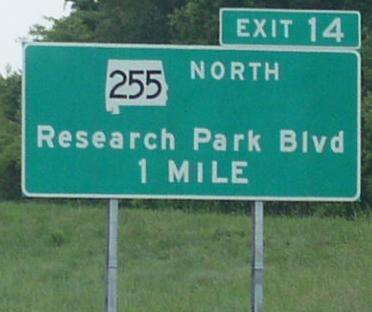 AL St Rt 255 is not multi-plexed in Madison County. AL St Rt 255 intersects the following highways in Madison County. Alabama State Route 53, at Huntsville. U.S. Rt. 72, at Huntsville. Alabama State Route 2, at Huntsville. ALT. U.S. Rt. 72, at Huntsville. Signs on WB U.S. Rt. 72 at AL St Rt 255.